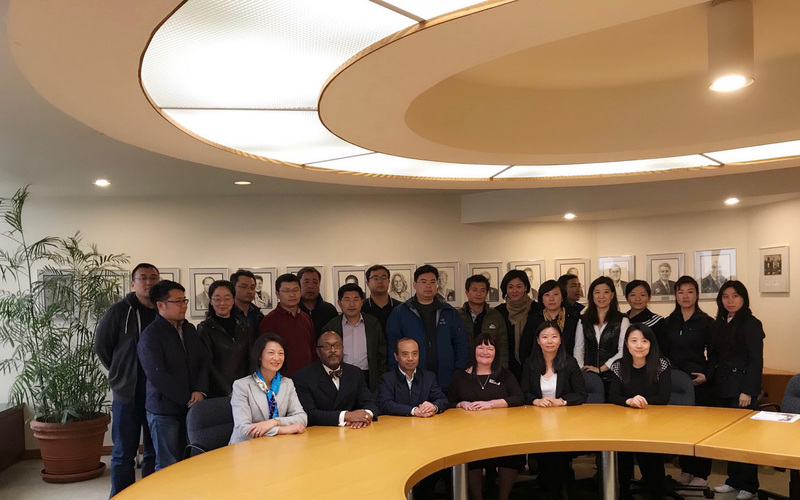 On November 1, the Connecticut Small Business Development Center (CTSBDC) and the UConn School of Business addressed a business delegation from China. The delegation, representing 22 of the country’s largest industry sectors, learned about the approaches and services used by CTSBDC to assist the state’s small businesses, as well as the educational programs and resources offered by the business school. Graduate student and former VERGE consultant Guanwei Tao and CTSBDC business advisor Joe Williams were also part of the conversation which took place at the New Haven Chamber of Commerce.